British rock/pop group, formed in Liverpool, England during the late 1950s. Signed to recording contract with EMI in 1962. The lineup (1962-70) comprised John Lennon (vocals, guitar, harmonica, keyboards), Paul McCartney (vocals, bass, guitar, keyboards, percussion), George Harrison (guitar, vocals, sitar), and Ringo Starr (drums, vocals, percussion). During 1961, Stuart Sutcliffe (bass) and Pete Best (drums) were also members. Following an initial period as a straightforward Mersey-beat group, later recordings saw them experiment with psychedelia, incorporating innovative production techniques involving tape loops and other effects. Although the group split in 1970, they have continued to release special products. Inducted into Rock And Roll Hall of Fame in 1988 (Group). 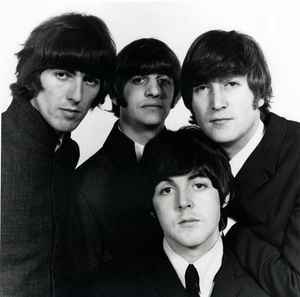 By 2015, all four members were inducted also as individual solo artists.